S.P. Udayakumar, founder of a prominent activist group, Peoples Movement Against Nuclear Energy. 24 Dec 2014 – In coming weeks the nuclear plant at Kudankulam — built on a part of the Indian coastline struck 10 years ago this week by a devastating tsunami — will start officially selling electricity into the Indian power grid. The Wall Street Journal this week wrote about the controversy over the plant’s location and filed a video report from the village of Idintha Karai, or “Broken Coast,” where a protest movement against the plant is centered. Activists worry about the risk of tsunamis, citing the example of Fukushima, Japan, where a nuclear plant damaged by a tsunami in 2011 leaked radiation. India’s government describes the Kudankulam plant as state-of-the-art and engineered to be safe from the waves. In separate interviews, the Journal discussed Kudankulam with Swapnesh Kumar Malhotra of India’s Department of Atomic Energy, and S.P. 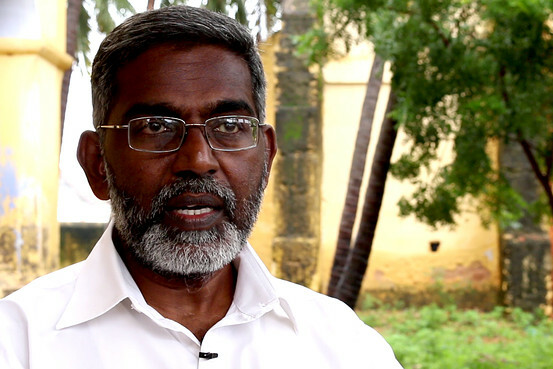 Udayakumar, founder of a prominent activist group, People’s Movement Against Nuclear Energy. Here are edited excerpts of selected topics discussed in the two interviews. The Wall Street Journal: What are protesters’ concerns about the plant? S.P Udayakumar: We are not very good in disaster management here in India. We have been opposing this Kudankulam nuclear power plant for several years now. But the Fukushima accident did make a huge difference. Only after Fukushima did people show more interest in this issue, because they all saw what happened in Fukushima on their TV sets. The fisherfolk [who live near the coastal plant] depend on the sea and seafood for livelihood. And when the nuclear power plant dumps coolant water into the sea, it is going to have very bad effect on the sea, seawater and their sea catch. This particular part of India has a high incidence of cancer because of high natural radiation. So we don’t want to add to the radiation problem that already exists. 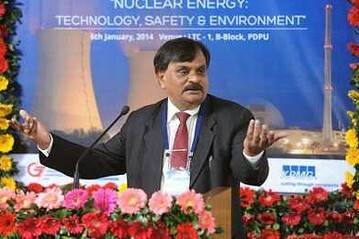 Swapnesh Kumar Malhotra of India’s Department of Atomic Energy. WSJ: What is the government’s position on the activists’ concerns? Swapnesh Kumar Malhotra: I can very proudly say that the emergency preparedness in nuclear sector in India is very, very good. Directly comparing with Fukushima is scientifically not at all right. We have limits [on water temperature] put up by the AERB [the Atomic Energy Regulatory Board].Wherever we are discharging our water, we are much within that limit. You spread out the hot water in a larger area, so that in the larger area there will be an increase in temperature — the delta T — lower than if you want to put it in one place. Whatever radiation readings are there at nuclear power plants, those are aligned within the lowest and the highest radiation limits naturally occurring in the country. So variation due to nuclear power plants is much smaller as opposed to the geological variation in background radiation. WSJ: Were changes needed at Kudankulam following the Fukushima disaster? Mr. Malhotra: No major changes in design. It was only change in terms of the placement of equipment. [After the Fukushima disaster, Indian examiners] studied each and every plant. In general it was found that nuclear power plants in India are better equipped to handle some situations [than were Japanese plants]. WSJ: How should the need for power be balanced with the need for safety? Mr. Udayakumar: We say that India, being a highly and densely populated country, with a very bad disaster-management culture, with lot of corruption and inefficiency on many areas, we cannot have a Fukushima or a Chernobyl in our country. We do need electricity, we do need development. We want business with Americans and Russians and everybody else on the earth. We want to grow with rest of the world, but not at the cost of our well-being and survival, and the welfare of our progeny. WSJ: Why the emphasis on nuclear compared to the other options, such as renewable energy? Mr. Malhotra: Industrial development is a must. For that, electricity is a must. [By midcentury], from a present 200 gigawatts [of installed Indian generating capacity] we should go to about 1,350 or 1,400 gigawatts. We should tap every single watt of power from renewables. We must do that. [But] only 20% of that goal can be achieved by the full potential of renewables. The remaining 80% will come from where? All the people sitting in the world’s developed countries, they should see to it that India doesn’t burn that much coal because, unfortunately, a carbon dioxide molecule does not honor any international boundaries. So what our suggestion is, you develop the renewables totally [and] by the middle of the century, a minimum 25% should be coming from nuclear. If half of it can come, then wonderful.